Having been a wedding guest at more than my fair share of weddings and also participated in the planning of a few, I think I can conclusively say; planning a wedding is definitely not for the faint hearted. A destination wedding is rather more overwhelming, especially when you're organizing, planning and arranging so many details from afar. And seeing that destination weddings are becoming more and more popular in most recent years with more and more couples opting for this on their special days, we have come up with a simple guide with features to consider, that can help you plan the perfect destination wedding, even while on a budget. First things first, decide on the type of ceremony you want. Is it going to be a small wedding party, cozy and private with close family and friends? Or a big lavish party with everyone you've known since kindergarten? Is it going to be a day, evening or night affair? Think of all these details properly while tailoring it towards your priorities for the day. Understand that the type of wedding you desire will eventually determine the kind of style theme you choose for your wedding. A theme goes beyond just picking your favorite colors, but also working with a good wedding palette to ensure that the entire ambience of your wedding environment exudes the kind of feel you'll love. After all, this is a destination wedding. This point seems like the most obvious of all but mind you, there are numerous things to be considered here, especially because you're on a budget. First of all, how local can you go? If the main focus is not to leave the country or state, but to just get away from your basic environment, consider going local. For example, if you live in a place like Minneapolis or close by, there are some superb Minneapolis wedding venues that can be fashioned to fit into your fairy tale or dream wedding. 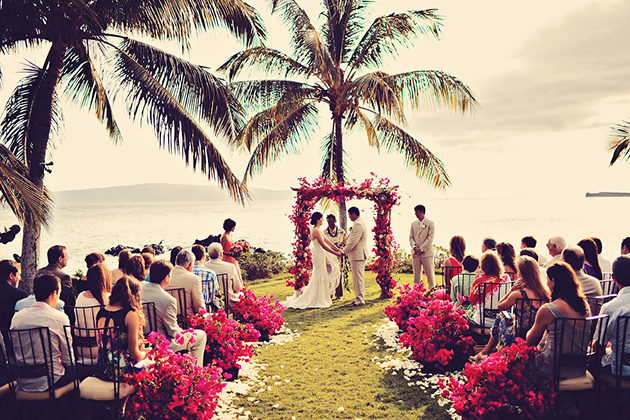 Explore every beach or resort in your country side, that's if you're going for the beachy-windy kind of ceremony. If you can, visit the venues before you decide to see whether it tailors to your needs. If you can't visit, take advantage of virtual tours. In cases where you can't find the right getaway place in your country, it's time to start planning an international wedding. But remember to consider how far you are going. The farther, the costlier considering the price of flight tickets and accommodation. In such cases, your previous flight miles, communication with some agents in these countries or family members, would come in handy and help you save time and money. Also, don't forget to check online reviews from couples who have used the venues you have on your list. What type of accommodation will be available in the places you're considering? Think of your accommodation plans with your guest in mind. Are you going to be having a lot of older people with special needs? You won't want to lodge them right smack in the middle of a casino and a club house with all the noise and what not. How accessible would transportation be to the venue? Is it quite far from the airport? Would we be needing a boat to take us across or a chopper to fly us in? Whatever the case maybe for you, ensure that you get the right accommodation ahead of time and consider other factors including the ameneties offered, distance, accessibility, and other unique services. Sometimes you might get so caught up in planning your ideal wedding that you forget to book your tickets on time. If you're looking to travel on a budget, it's important to keep your eyes open for discounts, rewards and other opportunities that will enable you to fly in the most affordable way possible. Start by searching for the prices online, make a list of different airlines you'll like to use and also use online platforms that offer good discounts. It's advisable to sign up with reputable platforms like travelbay.co or Trip advisor to assist you with unique travel packages, diverse options and also save you tons of stress, time and money while you focus on other things. Planning your trip ahead of time is super important because in some cases, you might need to travel some weeks earlier, just to ensure that the other wedding details are well put together. 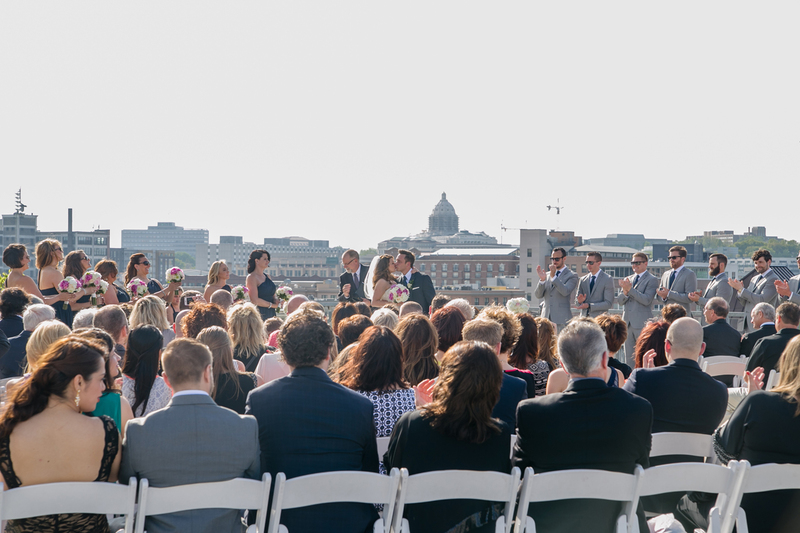 Weddings, regardless of whether it's taking place in your home state or far away, can turn out to be very expensive, despite the fact that you're on a shoestring budget. Now that you're probably miles from home, all that money you saved up may burn out in the twinkling of an eye if the exchange rate of your venue is not in your favor. This should have been considered when choosing the venue, but if you absolutely insist on your venue regardless of the state of the exchange rates, try to get everything you need from your home. Avoid leaving any purchase till you arrive at your destination. You can buy everything you would need, down to tissue paper to save you from unnecessary expenses, thereby saving your money for unexpected purchases. Also inform your guests of this early, in case they were thinking of shopping or using the opportunity of your wedding for a short vacation. If you're going to somewhere dreamy and exotic, tell your guests early enough. The more interesting the destination of your wedding, the more excited your guests will be, and maybe anxious, especially if they don't travel often. Inform them as early as possible. They may need to get visas and passports, do medical checkups, and save up to travel for the ceremony. Arm them with enough information about the city using the right wedding invitation etiquette, updates on the weather and suggest items for them to pack, especially if it would border on the activities scheduled in the wedding. And if you would be travelling to a country where the language is foreign, you may want to give them a heads up so as to learn a few phrases in the language. You can also compile a small phrase book and send by mail beforehand. One of the dicey aspects of planning a destination wedding is learning what is applicable in the city you intend to go. How do they dress? How do they speak? Would I be considered terrible if I don't tip at the bar? Can I wear shorts to the mall, a bikini at the beach? Please find out about all this and let your guests know what's expected of them. Your guests will appreciate your thoughtfulness and attention to detail and it will make the experience of the wedding much more memorable and smoother. Also learn what local laws are applicable for the marriage ceremony as this may eventually alter your destination of choice. As you plan for your wedding, plan for your honeymoon. You would eventually need it to unwind. The fact that you had a destination wedding, especially if it was somewhere exciting and far from home, may lull you into a false sense of satisfaction before hand and you decide not to go on a honeymoon. Don't do that. The mere stress and anxiety that comes with a wedding, be it destination or regular, requires a restful period for the couple before facing the real world. I believe this could be gotten at the honeymoon so please don't skip out on it.